What is luxury? Many industry stakeholders seem to think the word comes from the Latin 'lux', which means 'light'. In fact, a simple Google search will show that though 'luxury' does indeed have a Latin source, the original word was not 'lux', but 'luxus' - which means excess, extravagance, sinful indulgence and debauchery. These are hardly the words a marketer would want to use to define any brand. Sadly, these are the words that come to mind while looking at the current state of the luxury industry. My idea of luxury is different. Luxury - luxe in French - is something that is rare, timeless and personalised. It is rare in the way artificial light used to be for thousands of years till the invention of the electric bulb. (Most people would go to bed after the fire they had lit at sunset died; only the rich could afford wax candles, oil lamps and gaslights.) It is timeless, in the way a work of art is timeless, not following any fashion or trend but remaining forever relevant. It is personalised, because each item of true luxury tells the story of the encounter between the one who conceived it and the one who manufactured it. Luxury is an experience, an object that becomes part of a collection and with which its owner can spend his entire life. As customers grow wiser and more confident of their own tastes, I believe this is the kind of luxury that will dominate the market. Chandeliers are an interesting example of luxury in the original sense of the term. They went through a phase of becoming common and even old fashioned, but which, in the past 10 years, have regained their artistic and timeless features. The first chandeliers were simple wooden crosses in churches, hung from the ceiling with four candles mounted on them to provide more illumination. They soon became symbols of ostentation and power. Often, they were placed on the first floor, with mirrors next to them, so that the reflection doubled the illumination and they could be seen from even outside the house. Chandeliers were also frequently innovators in design. The rich competed with one another to put up chandeliers that would have one or more unique features. Thus, the start of an artistic period can be correlated to the history of a grand chandelier specifically designed for a king or a special location. Take the direction in which electric bulbs throw light. It is mostly downwards, though this could well have been the opposite as well, with the light bouncing off the ceiling. This is because the first electric bulb chandeliers were designed that way, just because they could be. These set the trend, underscoring the power of the chandelier. But the electric bulb also undermined the chandelier. Why put up chandeliers when they were not needed anymore to light up an area? Chandeliers lost their relevance for a while, but have returned as decorative items. Today, ever more than before, a chandelier exists as a piece of art, a statement of style, a sculpture in three dimensions - not merely a source of light. Thus, chandeliers should be bought for pleasure - the way jewellery is bought - for sharing, for their appearance, as also as an investment. My definition of luxury is also linked to refinement and culture. I have been fortunate enough to have been asked to restore chandeliers in some of the most beautiful palaces in the world, from the Palace of Versailles to the Laxmi Vilas Palace in Baroda. Restoration happens in two stages. 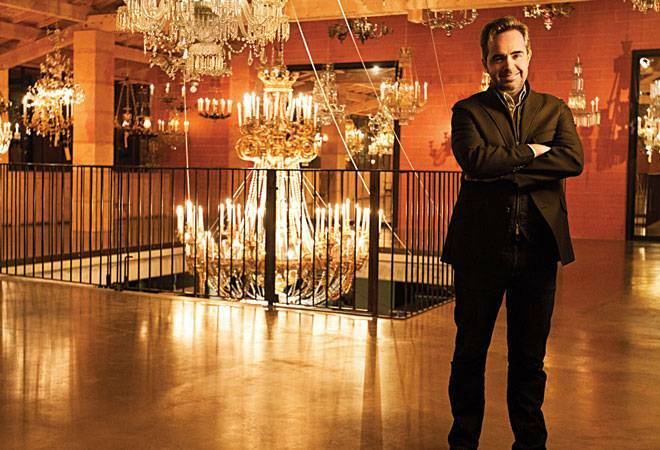 First, to understand the piece and its context, we dismantle the chandelier. That is when it speaks to us, giving up its secrets. The second step is when we try to bring back the original splendour of the chandelier in the context of the room in which it is hung, while using the latest technologies. In 2004, when we restored the chandeliers at the Versailles Palace, we developed what has come to be known as the Mathieu Bulb, which gives the exact luminescent halo and colour of a real flame while reducing electricity consumption. This assignment took us back to the basics of design and style, and has also helped me subsequently. It was the candles and the hall of mirrors at Versailles that inspired my chandelier "Abime", where the candles reflect infinitely in the mirror base. My experience of India has been wonderful. I first came to India 15 years ago looking for rock crystal. I have since been visiting four to five times a year and have some of my dearest friends here. 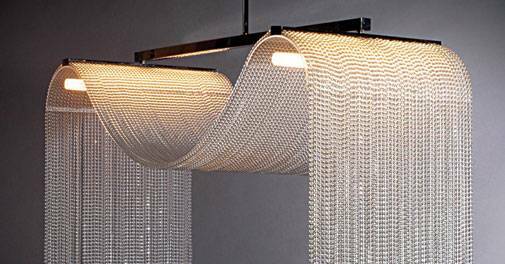 In India, the emergence of a new class of high net worth individuals has seen a growing interest in chandeliers on which this class is willing to spend time and money. It wants customised, classic, luxurious chandeliers. Bollywood celebrities, leading designers, leading industrialists - all those with money and inclined towards art and creativity - want to invest in chandeliers. People who travel abroad have seen how brands like Cartier and Hermes use chandeliers for visual merchandising. The demand for chandeliers in India is interesting in that it has arisen only in the past few years. Initially, luxury for Indians meant only items flaunting luxury brand names that they bought abroad, and not unique products. Some still hold this view, but my clients are those who have moved beyond it and want to buy art or collectors' items - which are made for them alone. Our clients sit down with us and discuss the message and idea to be conveyed through the chandelier they are commissioning. In China, people spend more easily and take decisions faster. But India has taught me the term 'value for money'. I feel 'value for money' should apply to luxury as well. The intrinsic value of a chandelier - the gold, the precious and semi precious stones used - make it a sound investment, too. I also believe luxury houses could cut down on marketing expenses by having a direct relationship with their clients and thereby deliver better value. India itself can be a source of luxury brands given the incredible diversity of its art and crafts. This is a potential yet to be exploited. Connoisseurs prefer not to 'buy' but to 'collect'. A customer selects the pieces he wants. My experience of the Indian market has made me hopeful. I think it is bound to develop coming more close to 'lux' than to 'luxus'.